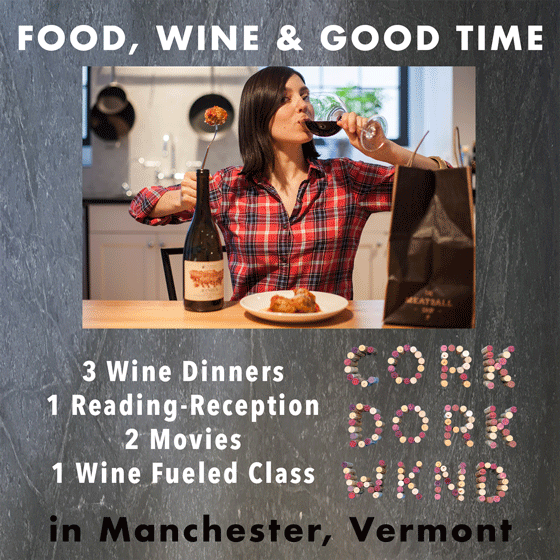 Join Bianca Bosker, author of CORK DORK, hailed as the “KITCHEN CONFIDENTIAL of wine”, for an unorthodox weekend of wine drinking, blind tasting, and sniffing that will stimulate all your senses and reveal the stories lurking in a glass of wine. Bianca Bosker is an award-winning journalist and the author of CORK DORK: A Wine-Fueled Adventure Among the Obsessive Sommeliers, Big Bottle Hunters, and Rogue Scientists Who Taught Me to Live for Taste. Bianca has written about everything from Chinese architecture to competitive ax throwing for The New Yorker online, The Atlantic, T: The New York Times Style Magazine, Food & Wine, and The Wall Street Journal. The former executive tech editor of The Huffington Post, she is the author of the critically acclaimed book Original Copies: Architectural Mimicry in Contemporary China. She lives in New York City, where her Instagram alter ego “#Pairdevil” enjoys the challenging of pairing wines with takeout.